As you all know, my focus has been on running for quite some time… (read – always). I tried a couple of triathlons. I’ve played touch football after growing up with rugby. I swum in the bay a few times. None of it stuck. I never really felt the calling. 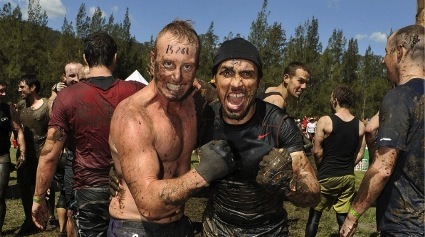 Some of my more heroic friends have been involved in the Tough Mudder comps over the last couple of years. These guys were pretty tough in my estimation to begin with, but they’ve since tested their mettle (and their metal) by carrying their teams through the gruelling 20km courses. Not satisfied with doing it once in Sydney’s Saturday event, they went back and tore up the track on the Sunday too! Even more impressive, both powerhouses finished in the top 5% of finishers, earning them a spot in The World’s Toughest Mudder. Tristan Andrews and Donovan Middleton, of Team Loose Cannons, are just the types of men you want in the trenches with you. They’re gritty guys, who aren’t afraid to get down and dirty. They carry their weight, plus rations for a week and extra for the fat lieutenant. If it came to a fight between man and mountain, the mountain is coming down. If they were in the Light Horse Brigade, they’d probably carry the horse. And that’s what it will take to annihilate their next challenge. The lads have recently told RunLikeCrazy that the bar is heading north a few notches. They’re entering a race that will make the adventure races proliferating our planet reassess what constitutes difficult. A race that can only be described as a battleground. The Spartan obstacle race series has just introduced a whole new level of punishment. It’s called the Spartan Ultra Beast… It’s caught my attention because it’s a 42km marathon course, littered with obstacles like climbing walls and rope swings. If it’s anything like Tough Mudder, then the fellas will enjoy some electro shock therapy along the way too. 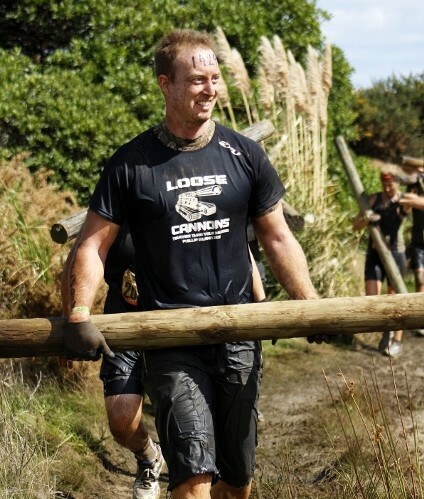 The Spartan organisers have this one right, as they’ve limited it to 600 competitors. 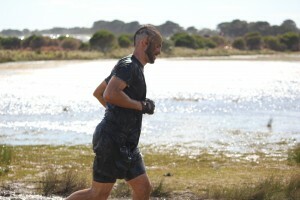 Everything I’ve heard about the Tough Mudder events tells me that they’re usually over-subscribed and so it’s hard to get your pace up to maintain momentum. It takes me around 3 hours to cover 42km on the road, approximately 4.5 hours on trail. I honestly have no idea how a bunch of walls and rope jungles would screw you up and mess with your timing. I can only imagine that it will take the average man most of a day to get it done – perhaps 10 hours?! I believe our heroes aim to nail this puppy in under 6 hours. Yeah, you got that… ROCK SOLID! I can only wish them luck and follow their progress with close interest. As with the marathon, half the journey will be in training themselves to be battle ready. Knowing how these guys love punishment, hearing about the journey to the start line will be just as entertaining as the race itself! Stay tuned to RunLikeCrazy for more updates on Tristan and Donovan’s road to SPARTAN GLORY as they feed the BEAST within!! Appreciation to my father who informed me regarding this website, this blog is truly awesome. Hi, I do believe this is an excellent website. I stumbledupon it 😉 I may revisit yet again since i have book-marked it.